Born and raised in Cincinnati, Rachel developed her love for others at an early age. At 14 years old, she joined a team of visionaries as a founding member of The Center for Family Solutions, a nonprofit that provides support services for victims of sexual abuse and domestic violence. A survivor herself, Rachel had the chance to testify before the Ohio House of Representatives proposing a bill to increase penalties for offenders. Beyond her advocacy work, Rachel’s high school activities ranged from philanthropic service to political activism. She was a member of her Community Foundation’s youth advisory board “Youth in Philanthropy” (YIP), which engages young people in active citizenship and teaches the fundamentals of fundraising. Due to her leadership in YIP, Rachel was asked to join a Boys and Girls Club of America (BGCA) steering committee and paved the way for its ultimate grand opening in West Chester. Growing up in a swing state, Rachel also immersed herself in the political scene by interning for Speaker John Boehner’s district office and establishing the Butler County Teenage Republicans (TARS). 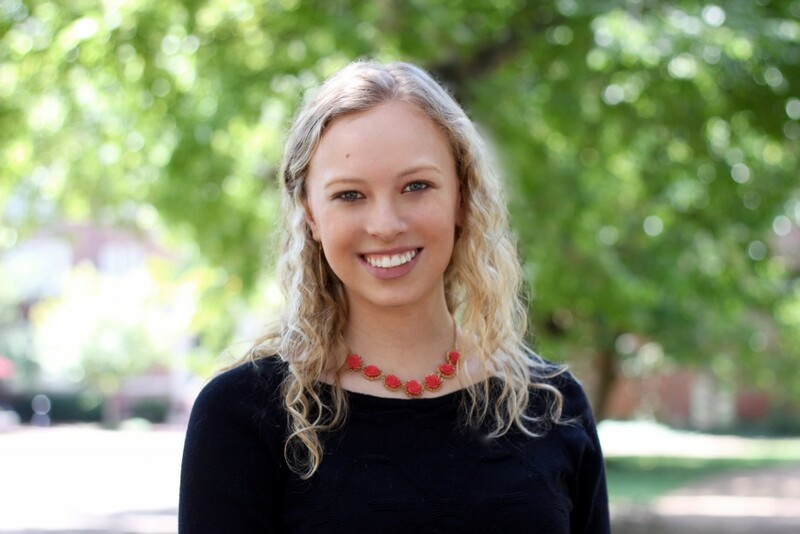 Rachel was accepted into the Vanderbilt Class of 2016 as an Ingram Scholar. During her freshman year at Vanderbilt, Rachel explored new realms of service while keeping busy with activities relevant to her high school passions. As Crawford House’s Service Commissioner, Rachel organized trips to the Room In The Inn (RITI) shelter for residents to cook dinner for Nashville’s homeless population. She also became involved in the Vanderbilt-Pakistan Connection (VanPak), waking up every Thursday at 4:00am to teach English to students in Pakistan via Skype. Following her freshman year, Rachel forged beyond the Skype classroom and spent eight weeks in Uganda. She conducted her Ingram Summer Project (2013) on behalf of Teach Twice, an organization dedicated to improving global literacy through publishing children’s books. Her field research culminated in a comprehensive report that provided Teach Twice with a plan for providing education opportunities in the Nakikungube village. Rachel spent her sophomore year tutoring inner-city youth in ACT test-prep, developing lessons for VanPak, and volunteering at RITI. During the summer of 2014, for her second Ingram Project, Rachel partnered with an organization called Children for Change Cambodia (CCC) and lived in Phnom Penh. While at CCC she piloted a social action curriculum that engaged children at-risk for human trafficking in various community service projects. Upon returning from Cambodia to begin her junior year, Rachel co-chaired Vanderbilt’s inaugural Human Trafficking Summit. Additionally, as a result of taking a songwriting course through the Blair School of Music, Rachel organized the first-ever songwriter’s concert at Room In The Inn (RITI) where students featured their pieces. This concert led to a year-long songwriting class that Rachel currently teaches at the shelter. Besides the songwriting class, Rachel helps in RITI’s weekly foot clinic where she assists with foot-washing and general podiatry for RITI participants. As the capstone for her Human & Organizational Development major, Rachel conducted a spring semester internship at Q Ideas. Rachel then accepted a summer internship (2015) at World Vision-US in Washington D.C. working with their All Children Reading initiative, a $20 million challenge fund to promote literacy around the world. A Truman Scholar finalist, Rachel has also been named “Young Professional Woman of Achievement” for the Ohio Hamilton County YWCA, serves as one of Vanderbilt’s two National Campaign Ambassadors to Harvard’s Institute on Politics, has been published in The New York Times, and has appeared on The Huffington Post’s “HuffPost Live” network. She plans to pursue a career in international development. No matter how large or small, acts of forgiveness create new beginnings. It can be a painful process but choosing forgiveness is choosing freedom. It is healing through hope. It is seeing beyond the past by embracing a brighter path to the future. Yet why does this word scare us? Tragically, we totally misunderstand the true power and purpose of “I forgive you.” Serious topics demand serious conversations, and this one is one to be had.